Why is New Zealand not offering to take in some of Syria’s refugees? In September the United Nations mistakenly announced that seventeen countries including New Zealand would be accepting refugees from the conflict in Syria. 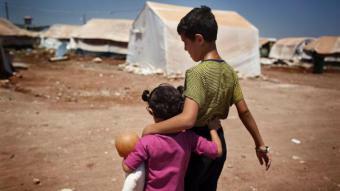 A month later, refugee advocacy group, RefugeAid, noted that sixteen countries would be accepting refugees from Syria. New Zealand was absent. As the Syrian conflict approaches the end of its third year and the number of refugees soars past 2 million people with another 6 million displaced within the country, the resettlement of those affected by the conflict is becoming an ever more pressing subject. For Syrians stuck in camps and fields approaching another freezing winter, the chance of a new life in another country will never be more than a hope for most of them. In 2010, New Zealand stopped accepting new refugees from the Middle East and Africa unless they already had family in New Zealand. This led to a marked decrease in refugees from these regions being settled in New Zealand. The aim was to refocus New Zealand’s quota contribution on the Asia-Pacific region. Recent Official Information Act releases show that the Ministry of Foreign Affairs and Trade were wary that New Zealand could be seen as ‘cherry picking’ the easiest resettlement cases, rather than focussing on those with priority needs as outlined by the United Nations High Commission for Refugees (UNHCR). 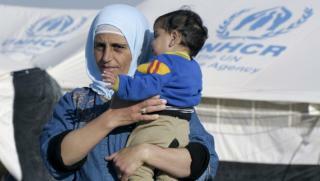 Refugees, like those in the countries bordering Syria, register with the UNHCR. This registration gives them access to assistance and puts them onto the resettlement list, through which priority resettlement cases occur. This year, this exclusion policy was relaxed in response to the fact New Zealand had not been meeting its obligations to the UNHCR for taking refugees from all regions. Our policy now is to take family reunification cases first and then new refugee cases. New Zealand’s refugee quota has not increased in the 26 years it has been in place. But this year, within that number, we established an emergency quota of 50 refugees in what are classed as emergency situations. The discussion of this quota was with direct reference to the Syrian crisis. Despite creating this special category within the quota, the New Zealand government has been silent about the place of resettling Syrian refugees within that emergency quota. Recently New Zealand has sent more money but this $800,000 is on a dollar-for-dollar basis for monies raised on Syria’s behalf by New Zealand non-government organisations. It is not offering to resettle refugees from the fighting in Syria, even though neighbouring countries such as Lebanon and Turkey are increasingly unable to cope with as the outpouring of refugees who are fleeing the fighting. The NZ Refugee Council has recently appealed to the New Zealand government to do more. Over 70% of the refugees are vulnerable women and children who were forced to flee for their lives and are now surviving inside UNHCR tent cities in neighbouring Lebanon, Jordan, Turkey, and Iraq…..The Refugee Council of New Zealand is presently appealing to the Government to accept some of the high protection cases of women and children from Syria in upcoming humanitarian quota resettlement intakes. By contrast, Australia has said that 500 people from Syria will receive resettlement. This is also within their present quota, which currently sits at 20,000. Nevertheless, they are still committed to taking twice as many people per capita as New Zealand’s fleeting suggestion that we may take 50. The numbers, however, belie the fact that these fifty or 750 or 2 million refugees are real people. People who live and breathe and prior to the conflict in their country had homes and normal dreams. People like Hassan, who has savings in the bank and two young daughters who haven’t been to school for two years, but who now has nowhere to go and is not able to educate his children. With a political agreement at the Geneva II peace talks in November looking unlikely, Hassan and the two million other refugees wait. Either for peace – or for a country like New Zealand – to fulfil its promises and offer them a chance to start over. Kiwis working in Syria and neighbouring countries have given an account of their experiences. “I have watched it mutate first-hand throughout the last 2.5 years: from the capital city of Damascus to Aleppo in the north, from being one of the safest and most beautiful countries in the Middle East to the most dangerous and unstable. I have lived in this country for the last 10 years and sometimes need to take a huge breath and a look around to comprehend at how quickly it has pushed and heaved almost 2 million people outside its borders and how it has displaced almost 6 million inside. The area where I currently reside in Aleppo, if you can imagine, is the size of Berhampore in Wellington and contains a jaw-dropping quarter of a million people, half of those are displaced. These people have no savings, no bread and no hope. As things have progressively gotten worse on the ground here, the world has suddenly started to turn a blind eye as it always does when certain conflicts expire in the media. In the middle of a stop-over in Seoul the news that chemical weapons were being used on Syrian civilians was hitting the world. The civil war in Syria wasn’t “new news” – it had been going on for two-and-a-half years. It took the use of sarin gas to propel the story further into the spotlight. I found this perplexing, because people had been brutally murdered for so long and yet – suddenly – the deaths of Syrians was something people were talking about. [My] coverage extended to visiting Al Zaatari refugee camp in Jordan, where up to 140,000 refugees reside. The camps was eye-opening, well organized and difficult all at once. I really didn’t have to look further than the hotel I was staying in in downtown Amman to find Syrian refugees working. 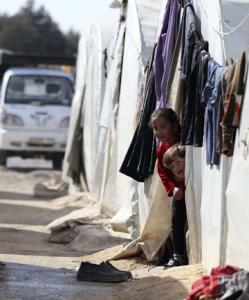 The bulk of Syrians refugees in Jordan live outside of refugee camps. I was surprised by the struggles going on within Jordanian society. Jordan’s government has been generous in donating the land for the camps, but the country is highly in-debt and bulging at the seams. Lower income Jordanians are being displaced from work by Syrians, and the cost of renting houses has almost tripled since the first Syrian refugees arrived last year. One Syrian refugee woman I meet stands out to me, Anam, she was only 25-years-old and has three children and told me her story in a confident and self-assured way. Her husband Rahd had left her during the crossing the border from Syria because he is wanted. Syrian guards took all her belongings, strip searched her (and her children) and left her children naked by the side of the road. They stole her underwear. She didn’t tell me she was raped, but I suspect she was. She was so badly beaten her kidneys are damaged and she had to go to hospital – she still needs more operations. She was in Al Zaatari for ten days before she was hospitalized with poisoning from the camp water. Eventually her husband Rahd paid 100 Jordanian dollars to be bailed out of the camp, to live in nearby Mafraq. In the camp there were not enough blankets and her one-month old son Yousef had been hospitalised with hypothermia. She showed me two small scars on his stomach. He cried and screamed in hospital, and now has two hernias. Anam can’t get the further hospital care that she needs because her UN paperwork expired after six months, and it costs up to 40 Jordanian dollars per trip to Amman to get it renewed. She would have to pay for four round trips to Amman just to get it renewed. “We have no future. There is no future here.” Mahoumad cries. The mud is up to our ankles next to the tent he and his family have been living in for the last five days. His house was destroyed by a Scud missile and his brother was killed. Now, 24 of his family covering three generations, are living in four tents in a camp for Internally Displaced People (IDPs) on the side of a road in Bab al-Salam. Every family in the camp has the same story – there was shelling, I lost my home, the contents of this tent is everything I have. I am afraid. As their eyes well up, a shot of grief ripples across a previously stoic face – I lost my child; I lost my husband, see, here is my wedding ring, come with me I want to show you his things; My wife was sick and there was no hospital, she died. I am sad, I want to die too. All of them try to tell me this person mattered, this person was loved – that they aren’t just a tiny part of an overwhelming statistic, one of the estimated 110,000 people who have been killed in the conflict, in a death toll that rises daily. Most of the residents of neighbouring towns and cities fled Scud missiles, shelling and fighting and now live in the camps a few kilometres up the road. When the rebels took over the border crossing to Turkey a makeshift camp was erected next to it. Hundreds of tents fill the carpark and hangers that used to form the customs post for the crossing. There is a striking number of children in the camps. Hundreds of them bounce around, excited by the presence of a stranger. They are grubby and many don’t have shoes. A two-month-old child is thrust into my arms, he was born here in this carpark. People from neighbouring areas came in the hope of getting a place in one of the numerous Turkish refugee camps, just a short walk away across the border. But the Turkish camps quickly filled up and now there is very little chance that anyone who isn’t seriously ill or disabled will be granted permission to cross. 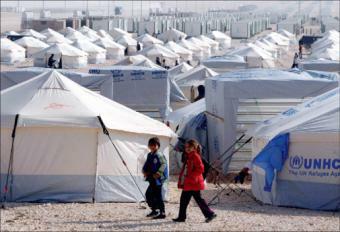 In Turkey, more than 500,000 Syrian refugees live in camps along the border. The camps are clean and well run. Residents receive a small wage, food, schooling and healthcare. Additional, unregistered, refugees live in the towns near the border. Many of them live in appalling conditions, like the family of Abdul who fled the danger of Aleppo, only to find themselves in the unfinished second-floor of a building, huddling round a small heater with tarps covering the unglazed windows. The situation seems hopeless. IDPs can’t cross the border into Turkey and those refugees who have, still have no pathway into something better. Turkish authorities have issued a temporary visa for Syrians which allows them to stay in the camps until the war is over, then they will return home. All of them are stuck in a kind of purgatory, waiting for something to happen in a war that, two years on, seems like it will never end. Everyone has the same question: “Where is the international community? Why won’t anyone help us?” The steady stream of journalists through this place promise to tell their story. Each one explains that if the world sees what’s going on they will come. It would be impossible to see this desperation and not act. Once, these words seemed plausible, now they fall on deaf ears – I don’t even believe them as I say them. There is no one here, no one is coming. Mahoumad is right, there is no future here. Footnote : Here is video footage from mid-2013 of the al-Zaatari refugee camp in Jordan described above by Kate Shuttlesworth. Apologies for the ridiculously obtrusive music.